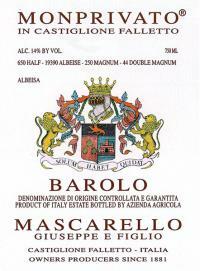 2013 Mascarello Barolo Monprivato - $129.99: Vins Rare, The finest selection of rare wines. 2013 Elio Grasso Barolo Gavarini "Vigna Chiniera"
* Wow, looks like we already have your email address in our system! Please login or use the forgot password link on the login page to get back in! * Looks like your two passwords do not match! * Please check you credit card expiration date! * How about a First Name? * We need a Last Name. * Please enter the name on the Credit Card. * Please enter a valid City. * Please enter a valid State. * Please enter a valid Zip Code. * How can we call you to talk wine? We need a phone number. * Please remember to read and agree to our Terms and Conditions! Be the first to know! Get on the list for great deals!